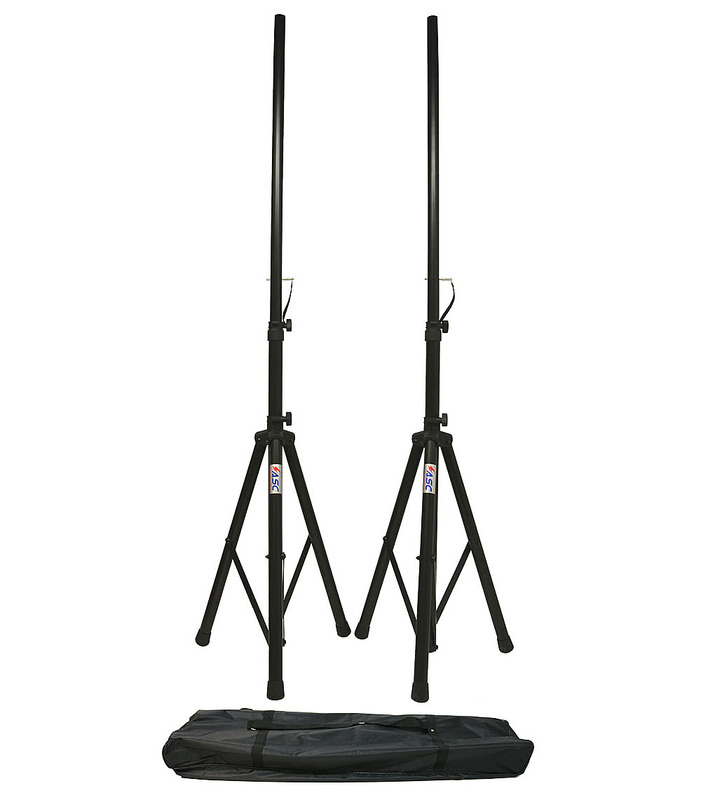 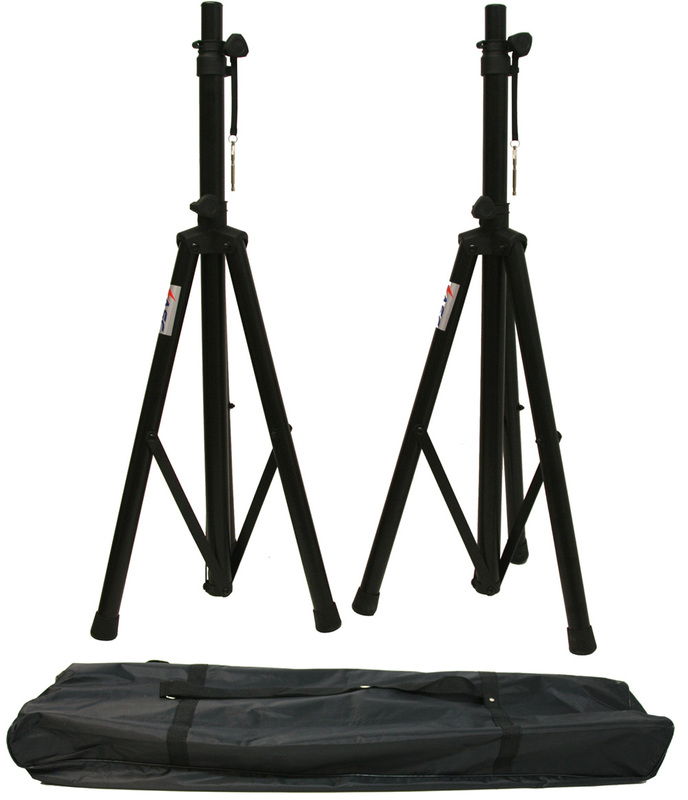 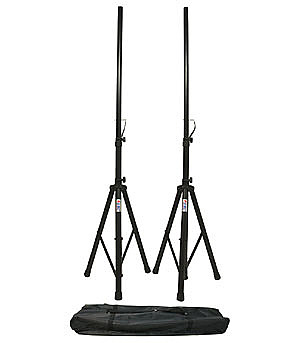 Check out our DJ speaker / lighting tripod package that includes a pair of high quality adjustable stands along with a dual stand nylon carry bag that makes transporting your gear a snap. 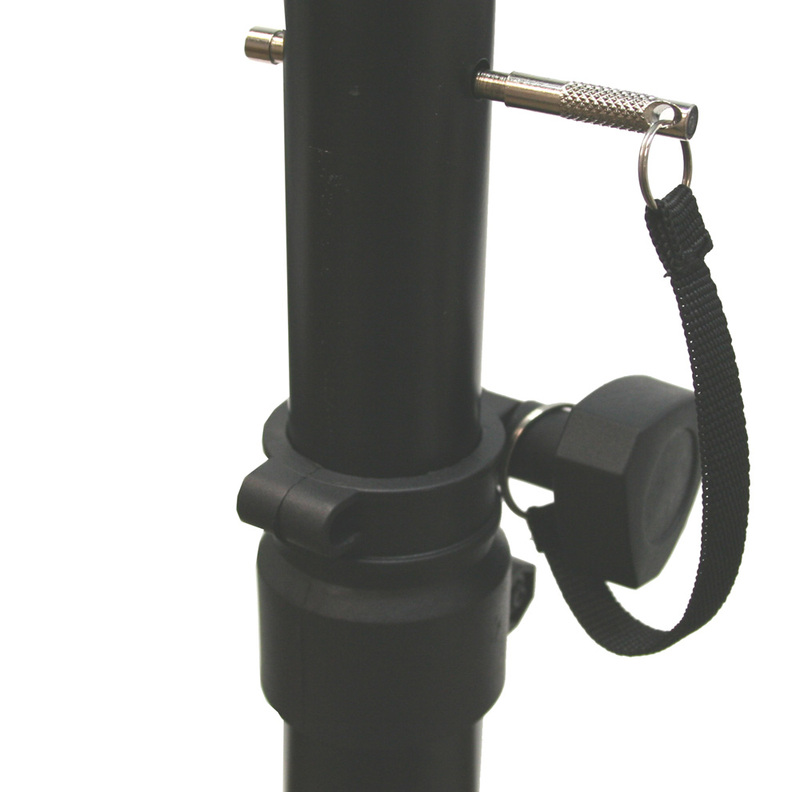 The stands feature the familiar 35mm (1.375'') pole mount which means they will work with virtually any brand of mount ready speakers or if you need mounts for your speakers we have you covered there too check out the ASC-A004 adapter. 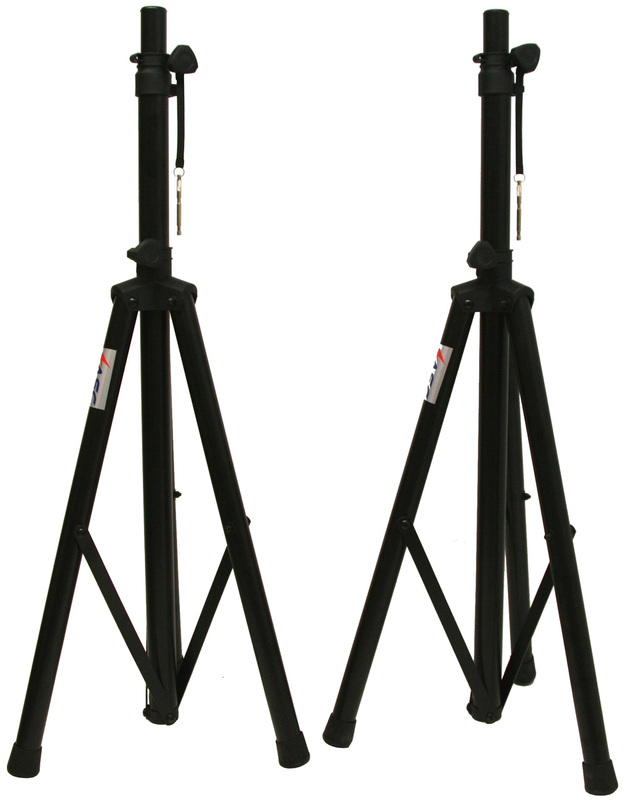 The stands feature an adjustable range from 4 to 6 feet so you can put the PA speakers at the perfect height for any event.